We are the original creative designers of the free standing artificial trees for church Isles in Ireland. 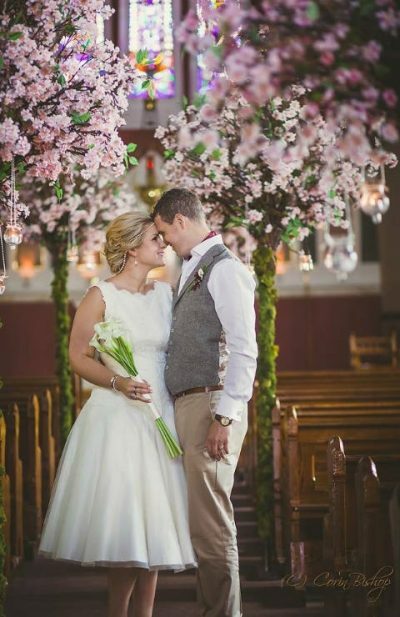 10ft cherry blossom trees are used as a preference if the time of year that you are getting married does not allow you to have blossoms at your wedding. Cherry and apple blossom trees only bloom in March/April. The beautiful option of artificial blossoms trees is that it allows you to still to theme your wedding around the pretty theme. Cherry blossom are always a popular option because the flowers create a natural, spring, charming and romantic aura with an air of freshness for an already beautiful event. The theme can be carried through the church isle, invitations, table plans, table linen and even to the table centrepieces. Please click on quote for a proposal or click request a call back and a member of our team will contact you within 24 hours. 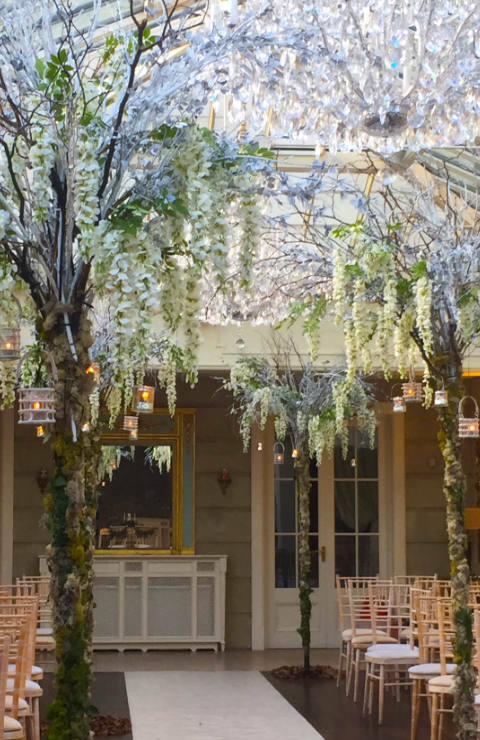 If your looking for the perfect wisteria themed wedding, then our wisteria trees will be perfect for your church isle. Whether it is a winter wedding or a white floral wedding theme, then our 10ft wisteria church trees are perfect for you. With our glass votive hanging tea lights hung at various heights, our trees will adorn your church Isle. Our trees will amaze and wow your guests as they are a show stopper! We don’t copy the trend, our trees set the trend therefore our quality cannot be copied. 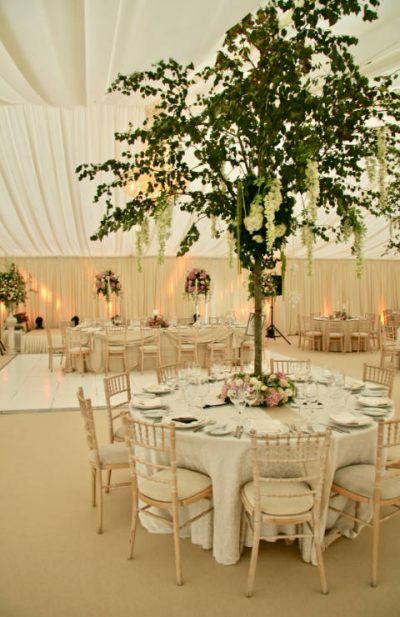 Feel free to call into our workshop to see the quality of our wisteria trees before you book. 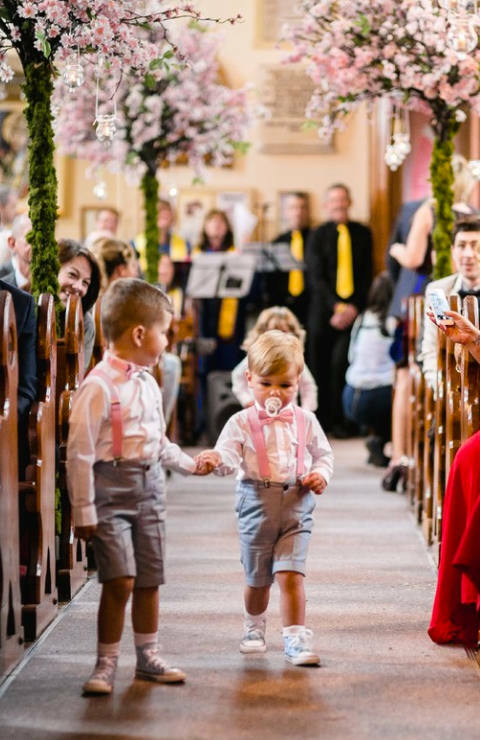 Our team will set up to help you visualise your day and we can organise a package to suit your budget. Please click on quote for a proposal or click request a call back and a member of our team will contact you within 24 hours.